You don’t need a car to see rural Portugal, since this trip explores both small towns and the Sanctuary of Fatima. Meet your guide in central Lisbon and hop into an air-conditioned minivan for your small-group guided day trip to Fátima, Nazaré and Óbidos. Begin with a journey north to the once quaint village of Fátima now a prominent Christian sanctuary. Arrive and learn about the three shepherd children who claimed to see Our Lady of Fátima dressed in white in 1917. 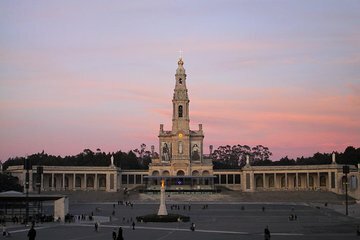 Stroll with your guide to the famous Sanctuary of Fatima, a basilica which draws millions of religious people annually who homage to the shrine. From here, travel to the 14th-century Batalha Monastery renowned for its compelling examples of of ornate gothic architecture and a UNESCO World Heritage Site. In the monastery, follow your guide into the royal tomb and see the Founder’s Chapel. Hear about the noble family that rests here including Queen Philippa of Lancaster, King João I and their heir Prince Henry the Navigator. 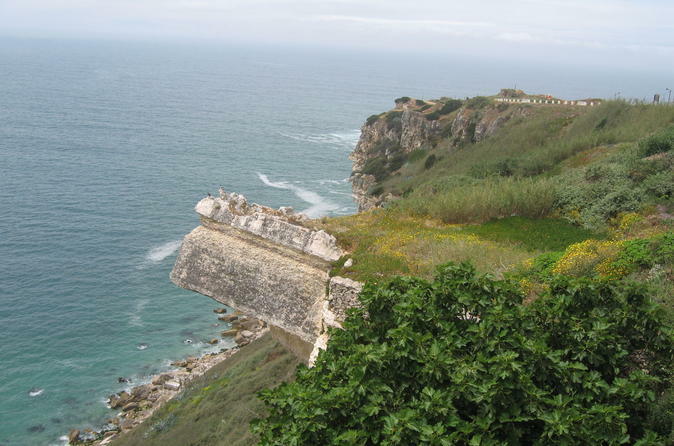 Continue to the quiet fishing village of Nazaré, a favorite summer vacation spot for the Portuguese. Here, take a break for lunch at a local cafe or restaurant (own expense). Learn about the locals who fish here before heading onward to the Nazaré cliffs. Reach the gorgeous small towns of São Martinho do Porto and Foz do Arelho and whip out your camera for quaint farm-country shots. Next, cruise along the impressive cliff-laden coast as you journey to Óbidos, a medieval village established in 208 BC. Enter past its fortified walls and discover slender streets, gothic facades, and vibrant houses. Alongside your guide, learn about King Dinis who gifted Óbidos to his new wife Queen Isabel in 1282 which led locals to refer to Óbidos as ‘wedding present town.’ As you walk notice the window sills decorated with flower pots and colorful tiles. Then, stop at a local wine shop for a taste of Ginja liqueur, a cherry flavored spirit and perhaps savor a snack. Finally, enjoy perusing through an artisan’s shop with a wide variety of handmade ceramics before returning to Lisbon where your tour concludes. Matthew was our tour guide. We had a great time. We went to Fatima on Palm Sunday. Magical place. Nazare was great . We had a wonderful seafood lunch there and nice stroll.  Matthew is very knowledgeable and very well spoken and gives excellent recommendations ... Thank you!!! What a great trip! Each one fascinating and different from the others. In addition to the 3 listed, we stopped at Batalha, truly an impressive Gothic cathedral.Our guide, whose name I've sadly forgotten, was excellent, informative and humorous, and the trip was well paced. Would definitely recommend. We were very pleased with the tour and our tour guide, Ricardo was great! Best ever tour guide we have had so far and we’ve traveled a lot. He was very warm and pleasant. Gave excellent background and insights about the places we visited. Loved the place and food he recommended for lunch (best fresh grilled squid!). Very accommodating too on our special requests. We will definitely recommend him to our friends. This tour was a great way to spend the day outside Lisbon while visiting the shrine of Fatima and the small towns of Nazare and Obidos. Our tour guide/driver was knowledgeable and friendly, and the group was small (10 people). As we drove to Fatima, the guide provided useful information about the shrine and some historical information about the event and Portugal history in general. Nazare was a bit underwhelming since it was almost empty in January. Obidos was empty as well, but it was great walking through the old fortress with very few tourists. Overall it was a good tour and recommended for someone looking to spend a day visiting outside Lisbon. Nunu our guide made this a very special day ... we felt it was like visiting friends who wanted to show us beautiful places with a special touch. well done. Our tour guide/driver Nuno was excellent, outstanding, knowledgable and informative. He was very helpful, patient and polite. The tour was amazing. Small group of 8. The timing was perfect. We had sufficient time to do what we need to do and see in Fatima, Batalha, Nazaré, Óbidos. Returned to Lisbon on time. We had a wonderful day with our tour guide Nunu. He was very knowledgeable and informative. We had a delicious lunch in Nazaré. I would highly recommend this tour, especially liked that it was a small group, just 8 of us.